My one rule is that they may not ask me how to use or play with anything in the box, but I do encourage them to tell me how they are playing as a way to practice some skills within the rhetoric category. This is difficult for me. The teacher in me is always wanting to instruct and correct. It was especially difficult when I saw them flinging the counting bears across the room with the balance scale. GASP! When I saw this, I had to direct them in figuring out a way to make sure that we didn’t loose any bears. My ballerina suggested that they try to fling the bears into the cups, which were also in the box. Well that was not really what I intended with counting bears, sorting cups and a balance scale, but it did prove that their problem solving skills are right on par. They did create a fun game. This week I may limit the lego box a bit. I am interested to see if they will discover more treasures in the logic boxes without the distraction of the legos. 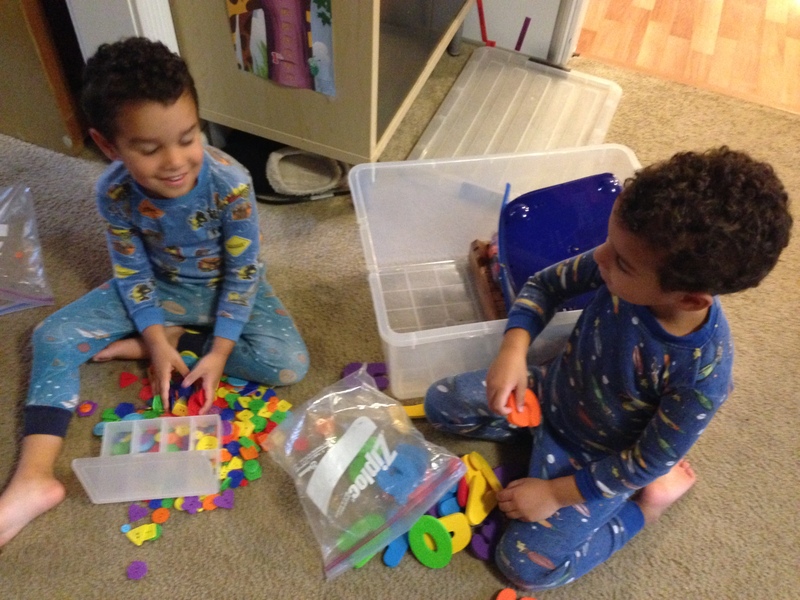 This entry was posted in Homeschool, Thought and tagged classical education, homeschool, homeschooling, Lego box, trivium. Bookmark the permalink.